This video library lists the primary exercises used in CFSBK’s CrossFit group classes. Click on the links below to see a brief demo video with points of performance for each movement. We’ve organized them into three categories (Bodyweight Exercises, Barbell Exercises, and General Conditioning Exercises), each with sub-categories organizing movements from basic to more advanced variations. 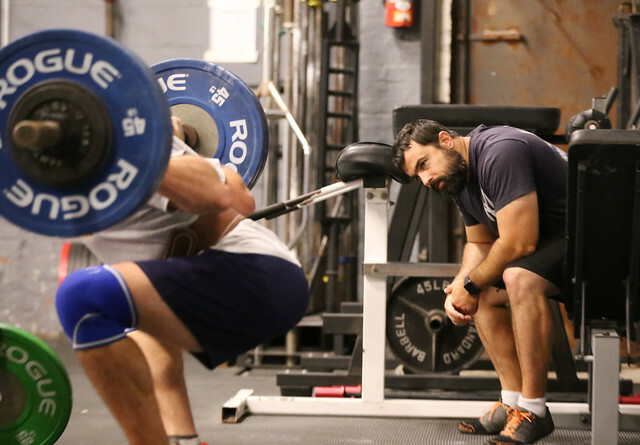 If you’re new to CrossFit, it can be especially helpful to review the exercises we’ll be using in class each day before getting coached on them in class. And as always, if you have questions, don’t be afraid to ask a coach! Note: Clicking on any of the links below will open a pop-out video window.